The Savannah Coastal Refuges Complex Headquarters is located on US 17 in Jasper County, SC, halfway between downtown Savannah, GA, and Hardeeville, SC. The office is open Mon- Fri 9AM - 4PM, closed Sunday and all Federal holidays. The Visitor Center is open 9 AM til 4 PM Mon-Sat. The Laurel Hill Wildlife Drive is open from dawn until dusk every day. The Savannah Coastal Refuges Complex consists of seven National Wildlife Refuges spread along nearly 100 miles of coastal South Carolina and Georgia and containing 58,000 acres of land and water. 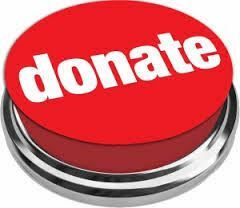 These refuges are maintained on behalf of the American people by the US Fish and Wildlife Service in perpetuity for the benefit of the wildlife and wildlife habitat they harbor. 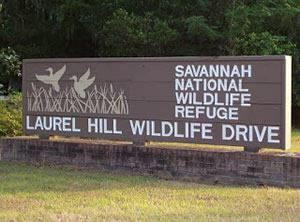 The Complex Headquarters is located in the Savannah NWR in Hardeeville SC. Holly Gaboriault is the Complex's Project Leader (CEO). She is responsible for managing the Complex and the FWS staff. Pinckney Island NWR ( Lat: 32.228176, Long: -80.784702 ) was established in 1975 when the property was donated to FWS after serving as a private hunting preserve for almost 40 years. In the early 1800's the property was part of the plantation owned by Major General Charles Cotesworth Pinckney, a prominent SC politician. Today the refuge covers 4,053 acres, two-thirds of which is salt marsh and tidal creeks. The rest is made up of numerous islands and hammocks. It is the most heavily visited of the Complex refuges. The refuge entrance is located on busy US 278 between the bridges leading to Hilton Head Island. Savannah NWR was established in 1927 and has grown through the years to become the largest refuge in the complex at more than 31,550 acres. Divided between Georgia and South Carolina by the Savannah River, the refuge is home to a large number of plants and animals and a variety of habitats, from tidal coastal rivers to hardwood uplands. The multiple fresh water impoundments which are now managed to benefit wildlife are the remains of the rice culture which dominated the area in the years before the Civil War. In 2010, the headquarters of the Savannah Coastal Refuges Complex moved to the new building on Savannah NWR that also provides a home for the Visitor Center and The Gator Hole, the Friends book and nature store. Tybee NWR lies on the South Carolina side of the mouth of the Savannah River. Established in 1938 as a migratory bird refuge on a one-acre oyster shoal, the refuge has grown to 100 acres since it began serving as a dumping site from dredging activities in the river. This refuge is considered a bird sanctuary and is closed to the public. It is not to be confused with Tybee Island, which is a nearby barrier island beach resort in Georgia. 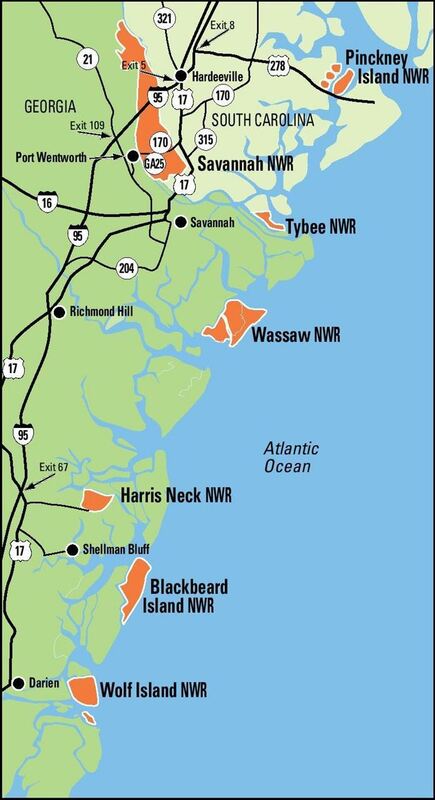 Wassaw NWR was established in 1969 on a barrier island along the Georgia coast that had seen little previous development. Its 10,053 acres include seven miles of sandy beaches, vast salt marshes, and maritime forest and is accessible only by boat. Wassaw NWR is an important nesting site for endangered sea turtles and hosts an active turtle management and protection program operated by the Caretta Research Project. The north and south end beaches are also popular recreational sites for swimming, boating, and fishing. FWS maintains a dock and maintenance facilities on the island. Harris Neck NWR (map coordinates 31.633333, -81.266667) was established in 1962 on the site of a surplus World War II army airfield. It has become the most important nesting site in Georgia for the endangered Wood Stork (Mycteria americana). The refuge's 2,824 acres consist of a variety of habitats with marsh, streams, open fields and forest attracting a large variety of plant and animal species. The refuge is one of 18 sites forming the Colonial Coast Birding Trail and features 15 miles of paved roads and trails as well as a visitor contact station with interactive exhibits. It is accessible by road. The refuge remains involved in a land dispute with the descendants of locals who claim ownership of land now incorporated into the refuge. The refuge's 5,618 acres are comprised of heavily forested linear sand dunes, salt marsh, freshwater marsh, and sandy beaches. 3000 acres have been designated as National Wilderness.